The man had recently been reported missing by his family in Winnipeg. CALGARY — A Greyhound bus packed with passengers was forced to make an emergency stop on the side of the Trans-Canada Highway just east of Chestermere, Alta., after a passenger started behaving erratically. Passengers on the bus told CTV Calgary they became concerned Tuesday afternoon when the man put a mask on his face, started pacing up and down the aisle, jotted down notes in a notebook, and pulled out his cellphone and started taking people's pictures. The driver pulled over and called 911, and within minutes the bus was surrounded by seven police cruisers. Staff Sgt. Jeremy Landry confirmed an adult male had been arrested under the Mental Health Act. He said the man was transported to a Calgary hospital for a mental health assessment. Landry said the investigation determined no criminal actions had occurred, so no charges would be laid. The bus had been destined for Vancouver. Passengers said the man got on the bus in Winnipeg late Monday night and kept to himself, not speaking with anyone. The man's strange behaviour started shortly after the bus made a brief stop. "People were mainly shocked," one passenger told CTV Calgary. "Shocked, scared." Earlier this month, another Greyhound bus pulled over on the side of the Trans-Canada Highway near Sintaluta, Sask., when a passenger started brandishing a large knife and acting erratically. The man with the knife initially would not let another passenger off the bus, or move from his seat. The man then left the bus and walked into a farmer's field. After about 45 minutes, the man walked to police and gave himself up. No one was injured. 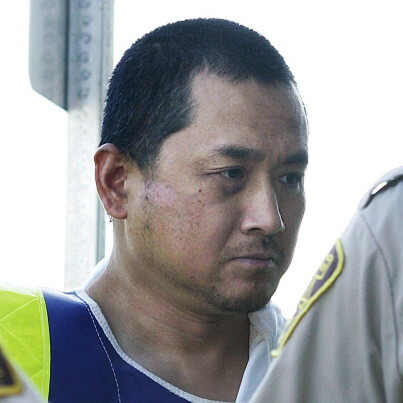 In 2008, 22-year-old Tim McLean was beheaded and cannibalized on a Greyhound bus in Manitoba by Vince Li, who was found not criminally responsible due to schizophrenia. Li, who has changed his name to Will Baker, has since been granted an absolute discharge as doctors determined he no longer poses a threat to public safety. They described him as a model patient who had not been treated for schizophrenia at the time of his attack, saying he now understands he must take his medication to keep his illness at bay.